Around 1,000 protesters, mainly from Ukraine's nationalist movements, have blocked the parliament building in Kiev and several streets in the area, while deputies were voting on immunity of certain MPs. Police deployed tear gas to repel crowds turning violent. Having gathered in the center of the Ukrainian capital at the entrance to the Verkhovna Rada parliament building on Thursday morning, around 1,000 protesters scattered smoke pellets and started banging on metal barrels with sticks, Interfax Ukraine reported. 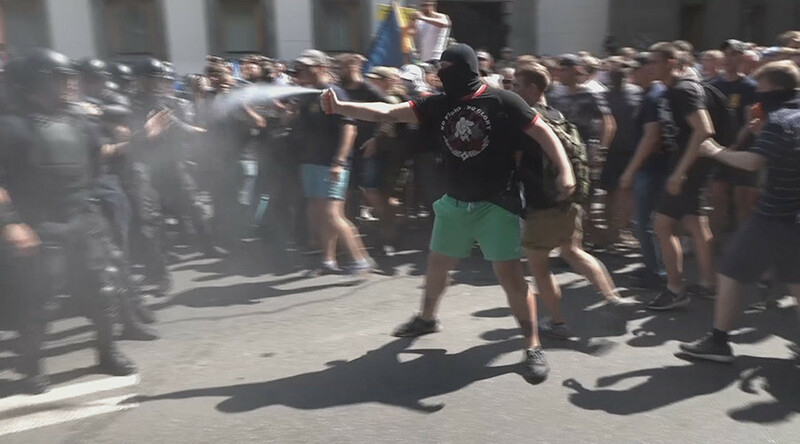 Clashes erupted between the protesters – many of who covered their faces with black masks – and police, with some nationalists having pepper sprayed the officers, Ruptly reported. 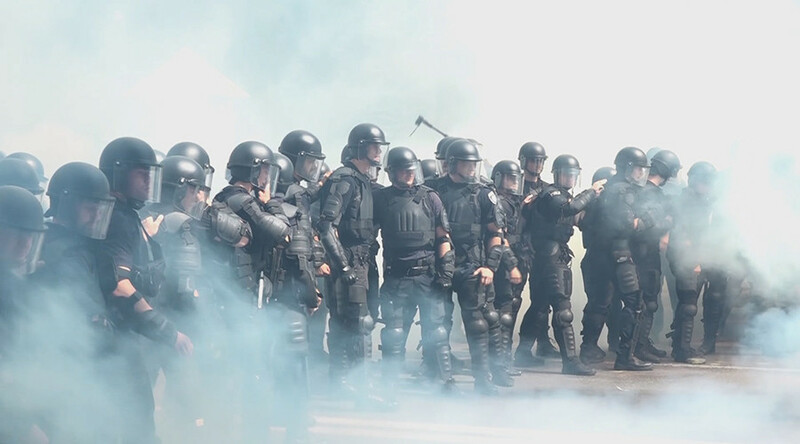 Police deployed tear gas against the protesters. No one has been arrested, according to Interfax. Inside the building, MPs were voting on the abolition of parliamentary immunity for certain opposition deputies, as requested by Ukraine's prosecutor general. Outside, the protesters with nationalist flags demanded the abolition, with hundreds of them burning flares and smoke pellets, as well as throwing fire crackers, Ukrainian 112 TV channel reported. The same day, Ukraine-EU summit has been taking place in Kiev. Speaking at the meeting, President of the European Council Donald Tusk has called on Ukraine to stay united and avoid internal conflicts, rather than worry about external threats.